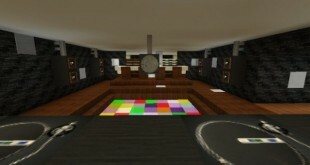 MinecraftTime.Com - Free download Minecraft Mods, Maps and Resource Pack | Page 2 of 38 | MinecraftTime is a new website that offers a huge amount of Mods, Resource Packs, Texture Packs, Maps, Skins for Minecraft 1.8.7, 1.8, 1.7.10, 1.7.2, 1.6.4. 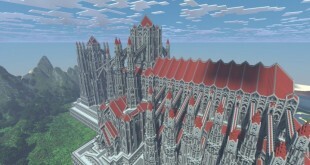 The InGame Mod Configs is a kind of pretty important mod that almost Minecraft players love to have. 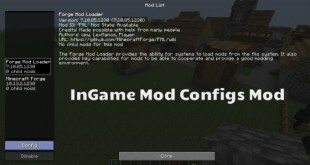 With the support of this mod, now you can make as many adjustments as you want to your mod files while still sitting in Minecraft without crashing the game or forcing a restart. 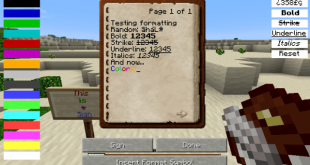 As the name, the Text Formatting mod helps players add changes to the appearance of the written words. 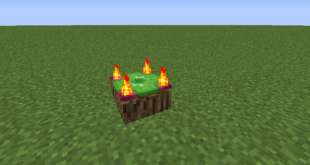 Players can attack colored and formatted text onto signs, into public chat, into the pages of books and even on command blocks. To apply text formatting, of course, you need to install this mod. The Water Home Map which includes many fair-size house with reasonable designs. is likely getting closer to the looking of the real life. Choosing it and you definitely won’t regret anything. 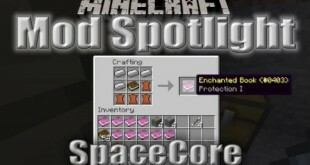 The SpaceCore Mod is a necessary support for Minecraft players who are using Spacechase0’s mods. 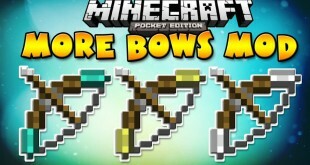 The More Bows mod seems like the perfect addition to Minecraft world, especially for those prefer doing combat from a long range. Greatly, this mod adds many new bows into the game, which are all different and features nice advantages over the others. In fact, the mods which are similar to the EXP Translation mod are not rare, even they may be better. However, these mods seem give the compulsion for players when players must fill long config files, find out complicated recipes and keep the mod’s website handy if they need to look anything up on the fly. In opposite, this mod is quite simple but still good. 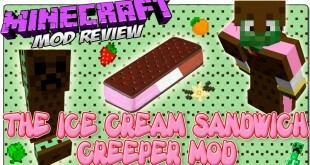 If you're looking for a kind of mod that is able to add so many ice-cream items into your Minecraft world, do not miss the Ice Cream Sandwich Creeper mod, which greatly features up to 5 ice-cream flavors, creating 6 types of ice-cream sandwiches and 6 kinds of creepers.